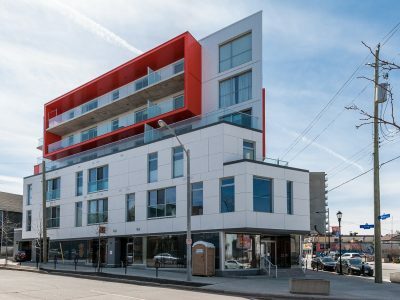 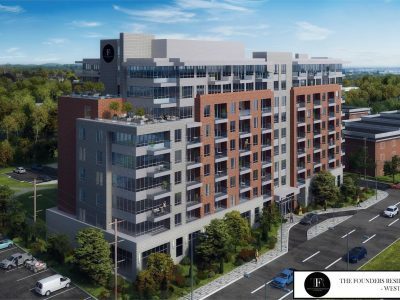 Welcome to East Market Phase 1 Condo Ottawa, the first part of a 3 building development in Ottawa’s Byward Market. 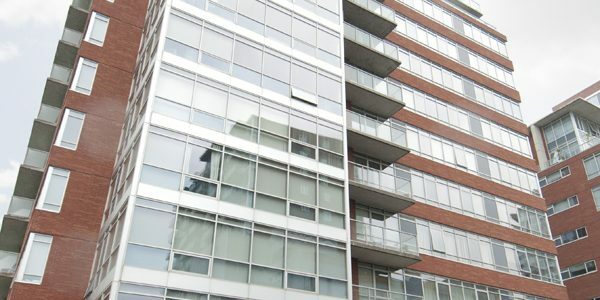 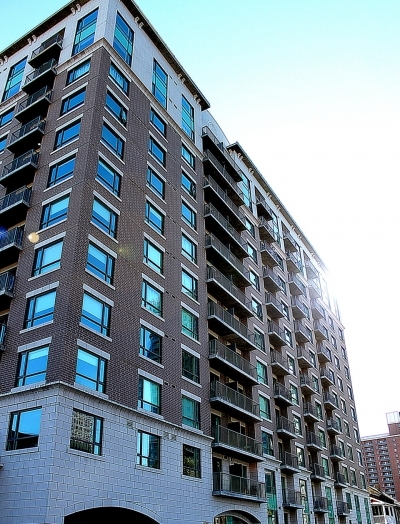 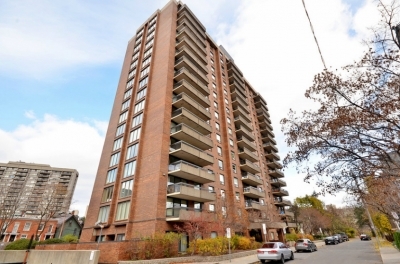 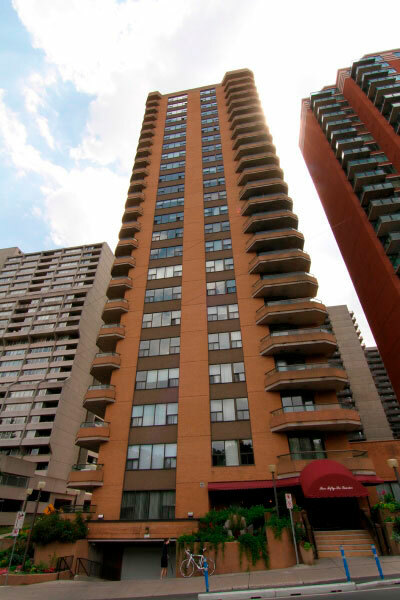 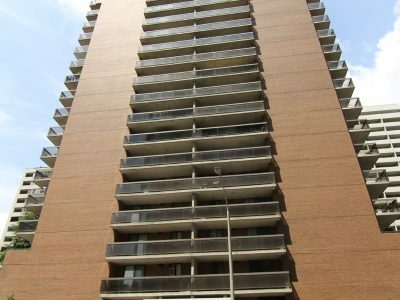 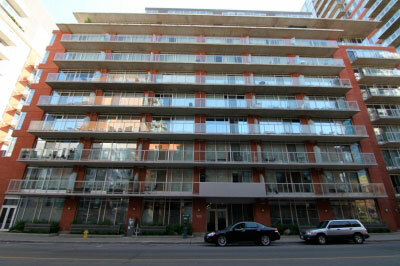 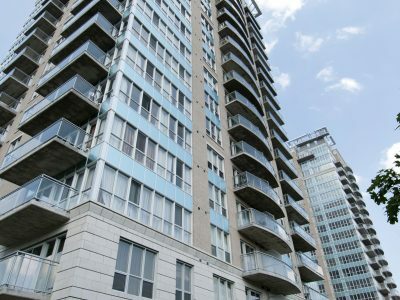 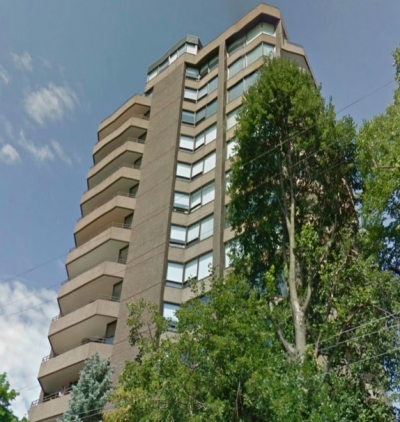 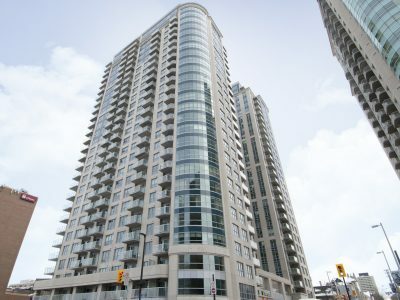 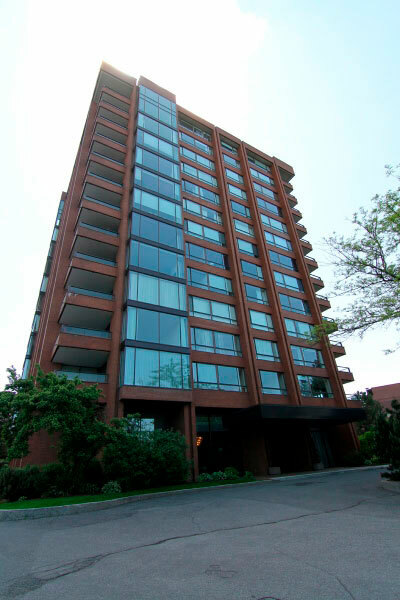 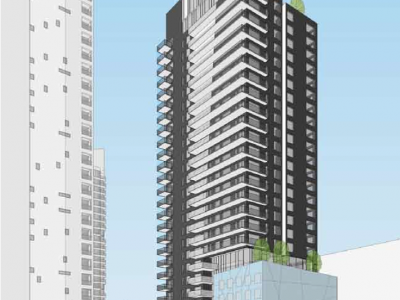 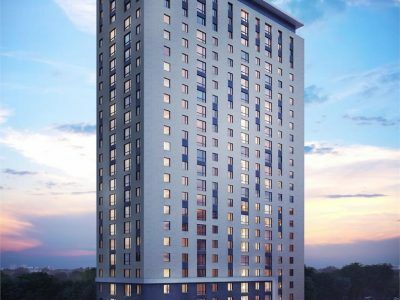 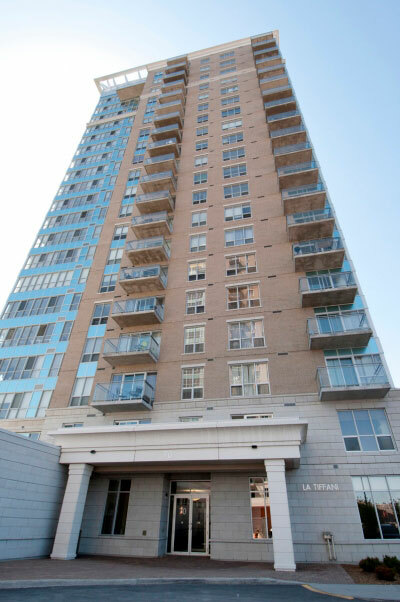 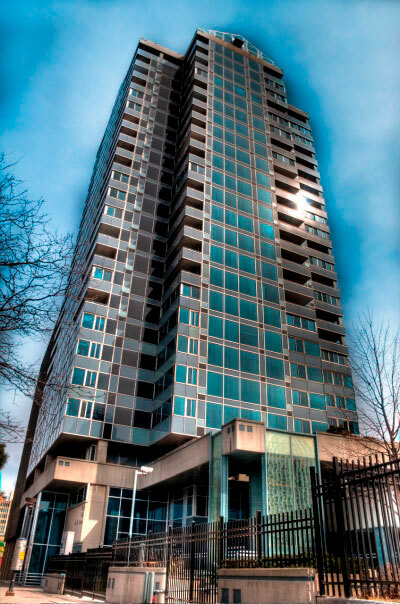 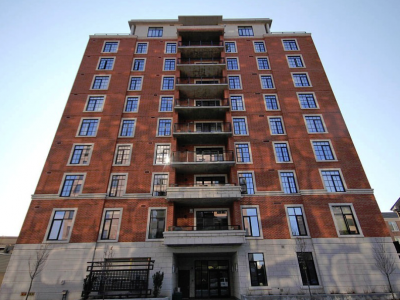 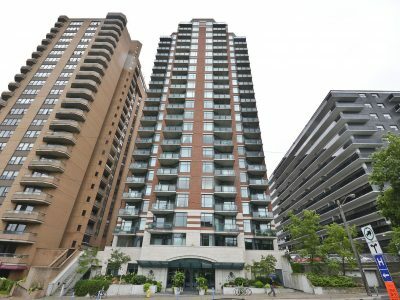 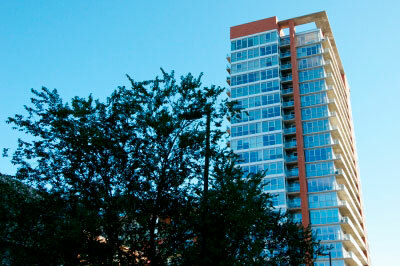 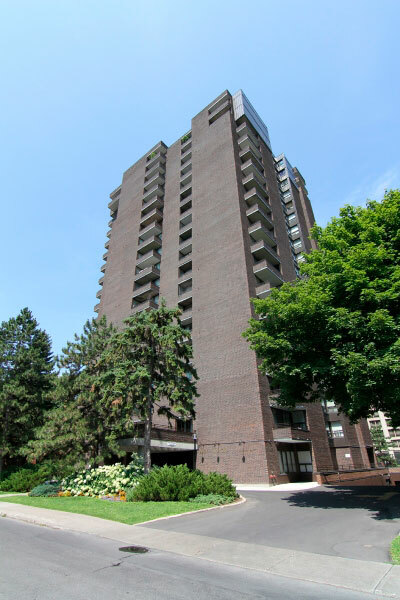 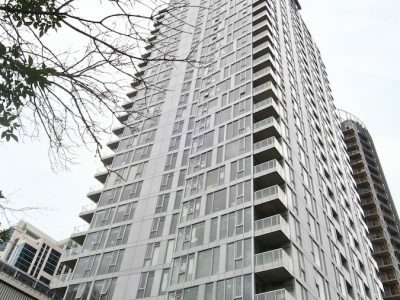 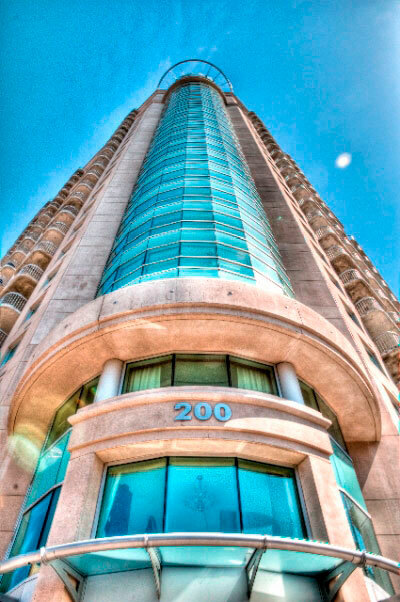 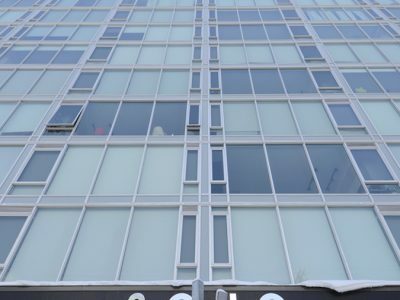 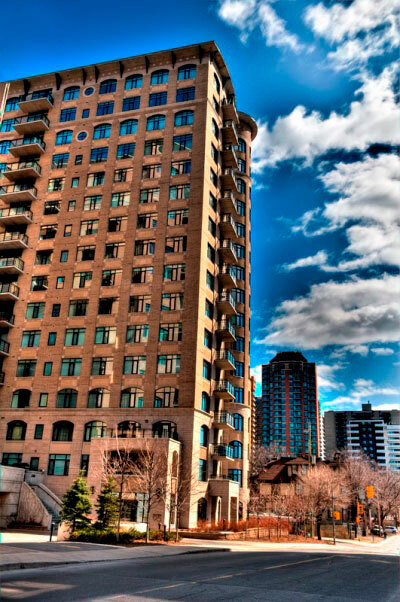 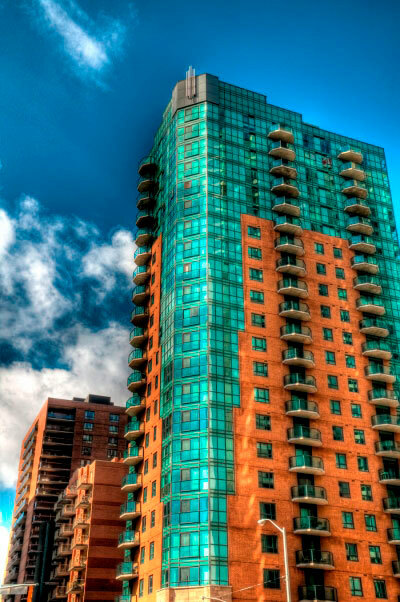 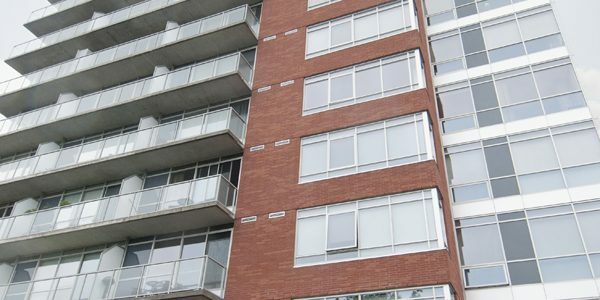 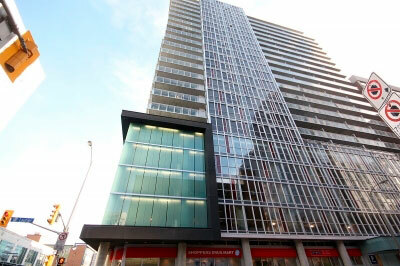 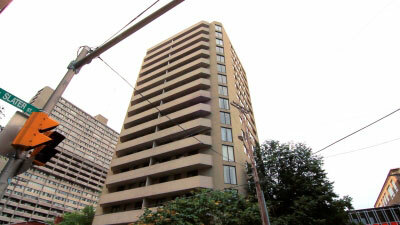 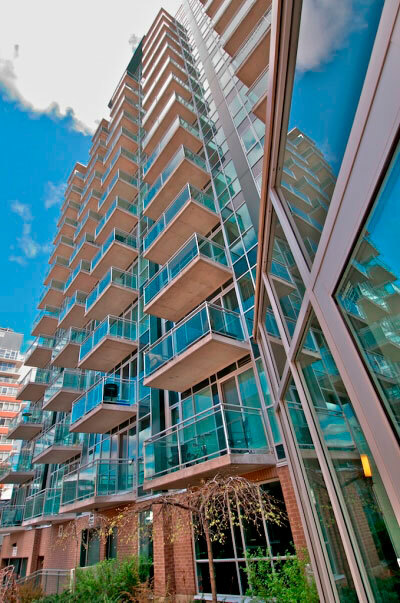 Standing at 14 storeys this highrise contains 107 studio, one and two bedroom condo units. 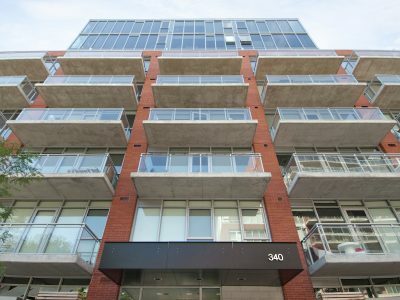 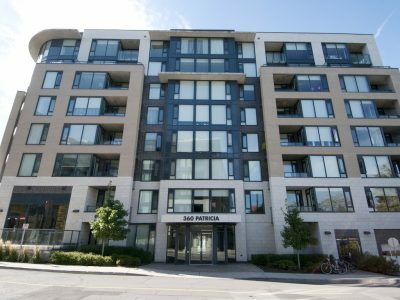 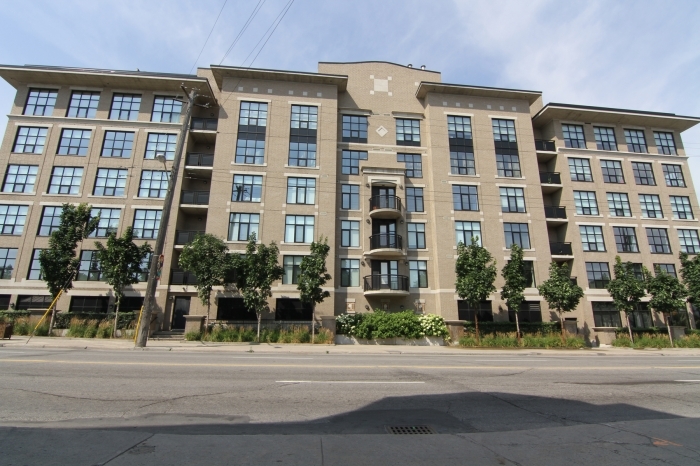 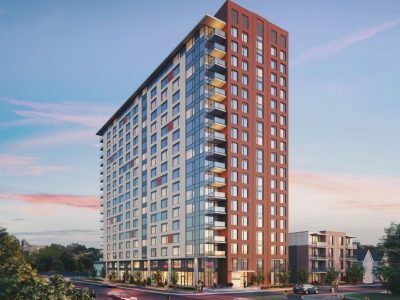 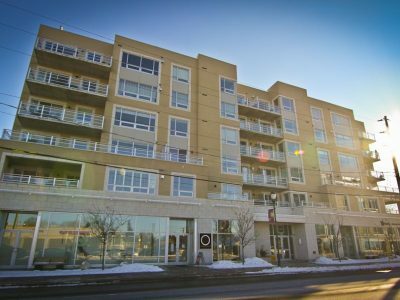 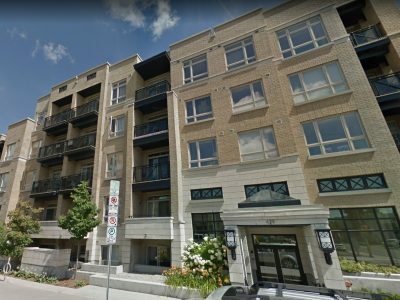 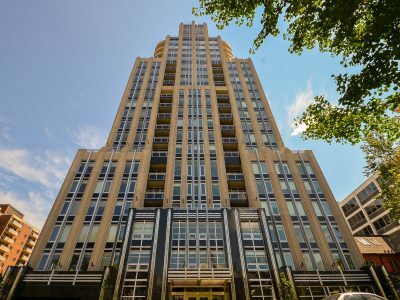 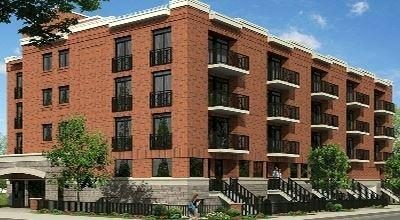 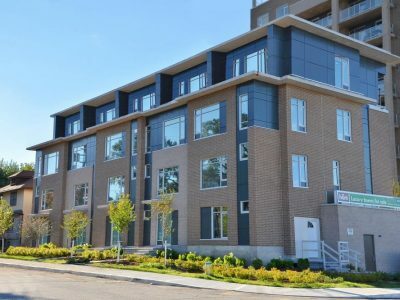 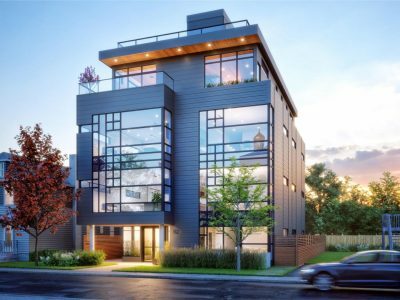 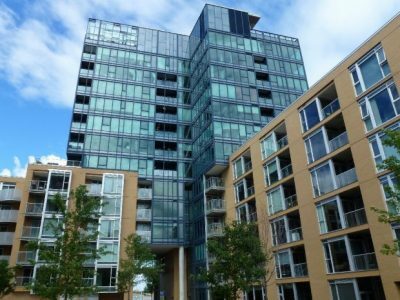 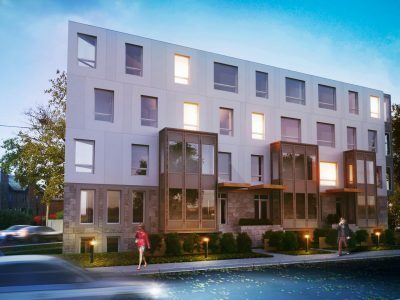 Built by Urban Capital in 2003 with design by Core Architect, East Market Phase 1 Condo Ottawa stunning design is sure to impress. 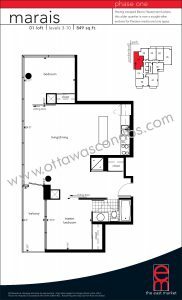 Units are decked with floor to ceiling windows, allowing for incredible views of downtown Ottawa. 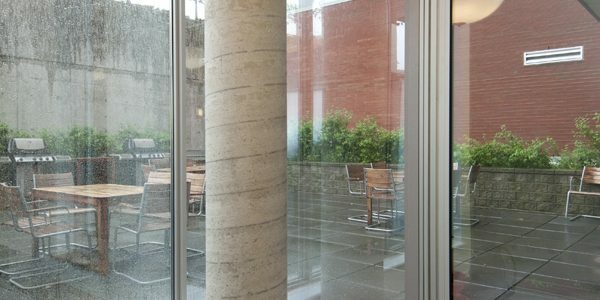 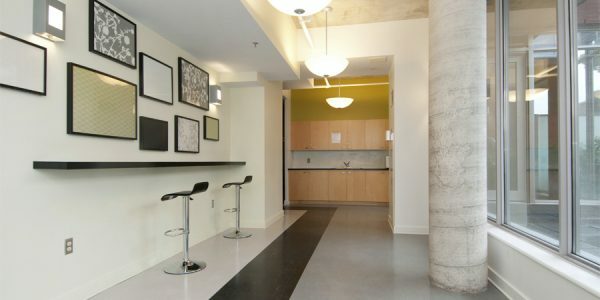 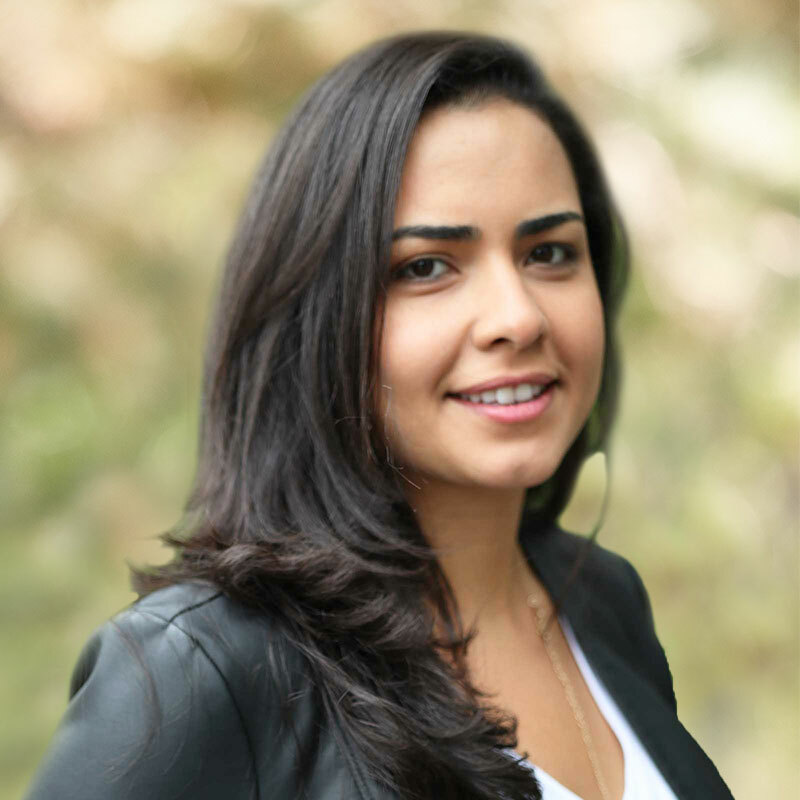 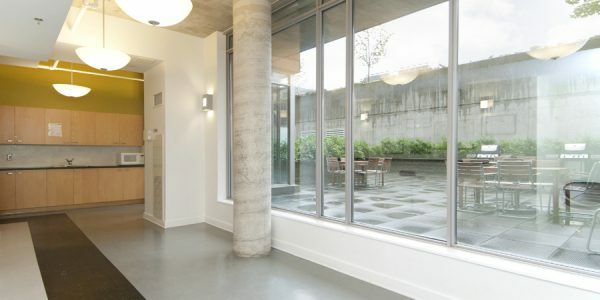 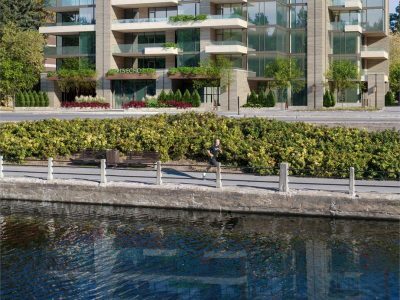 With in East Market Phase 1 Condo Ottawa the condos sport urban features such as exposed concrete ceilings, sliding doors, concrete columns, and large open spaces. 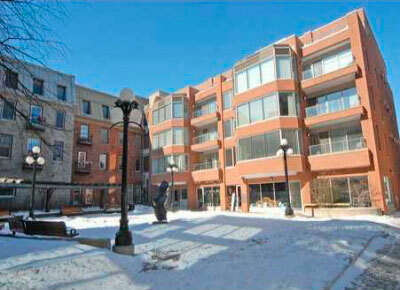 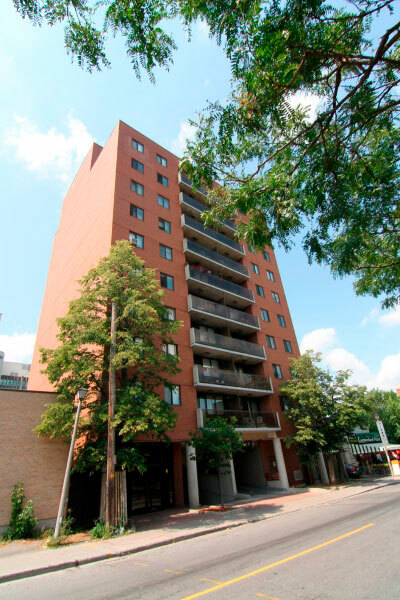 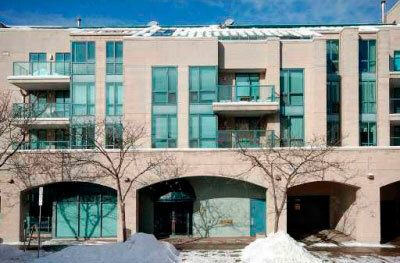 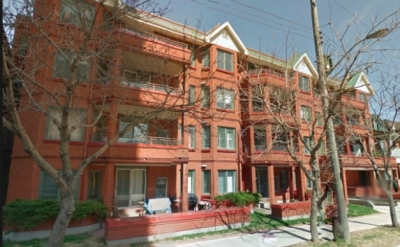 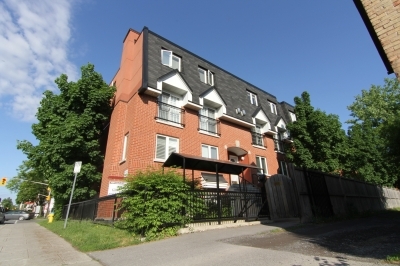 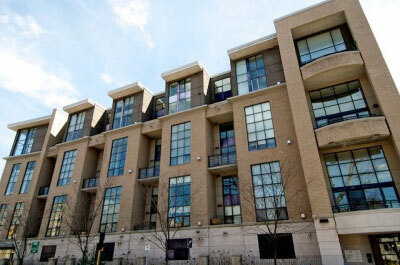 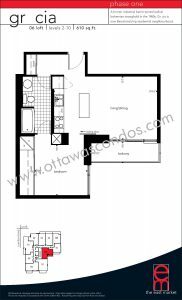 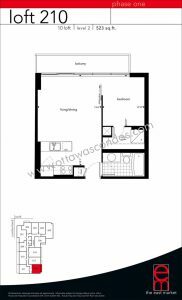 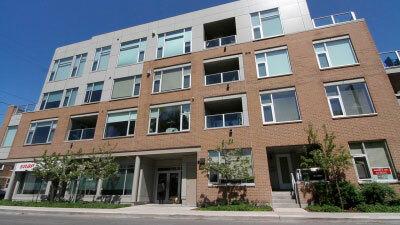 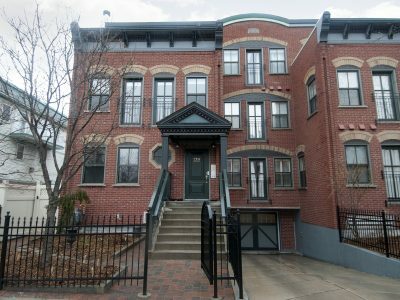 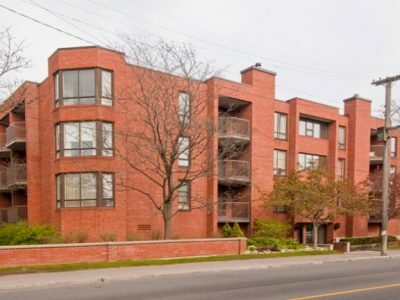 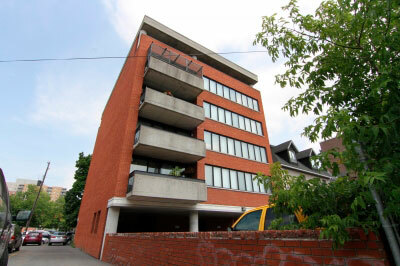 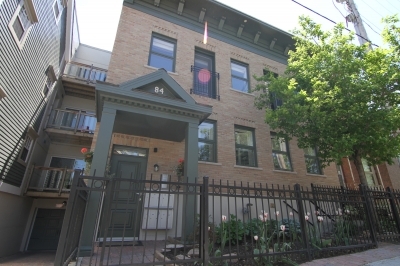 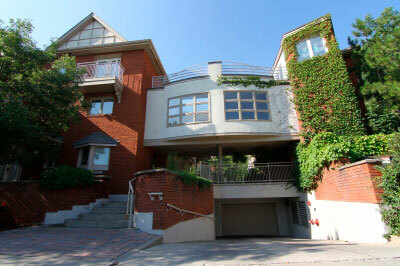 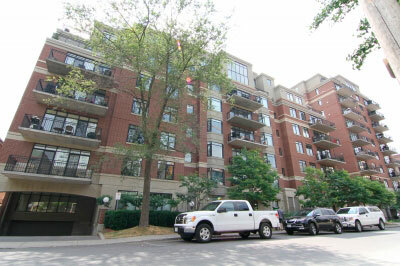 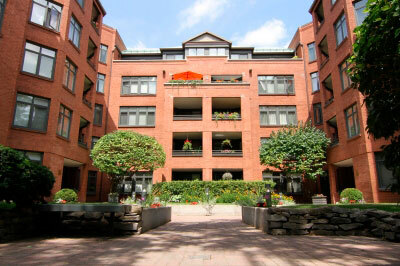 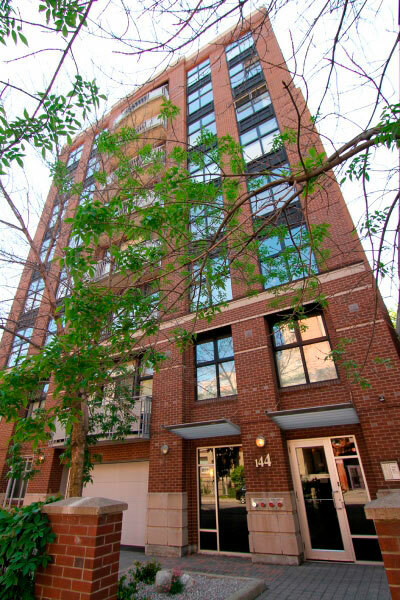 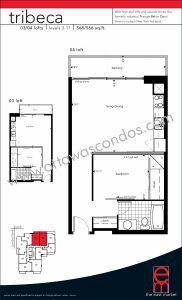 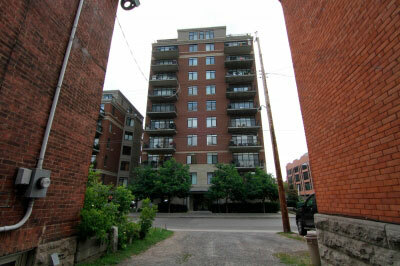 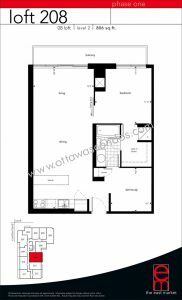 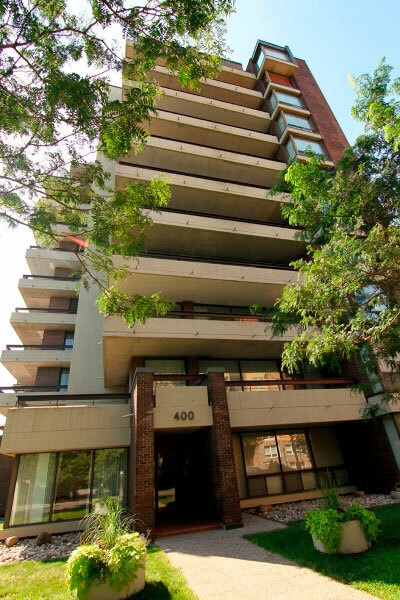 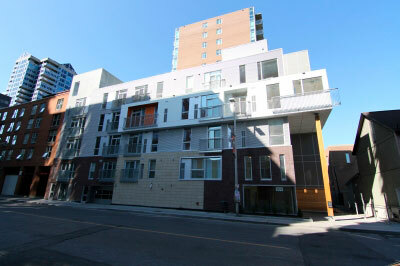 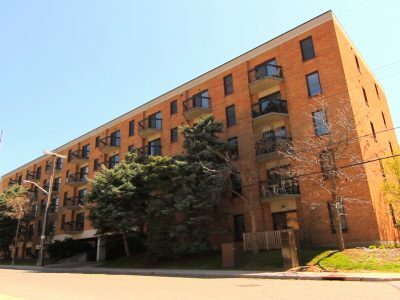 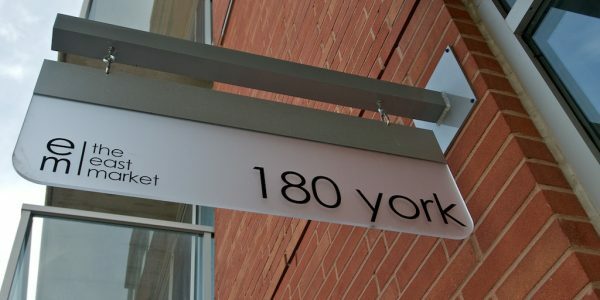 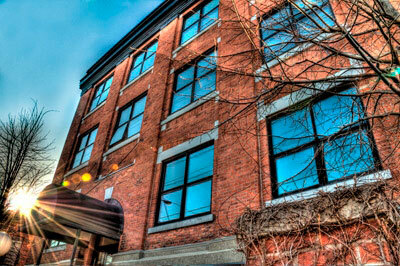 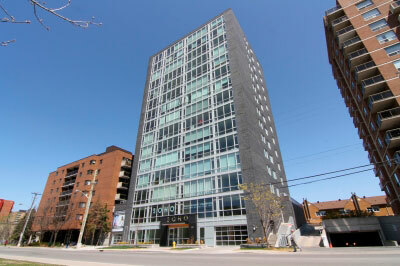 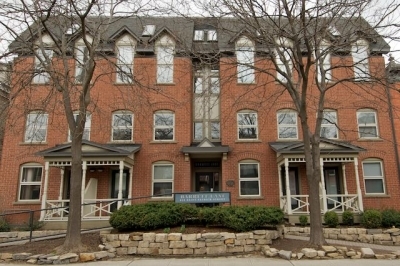 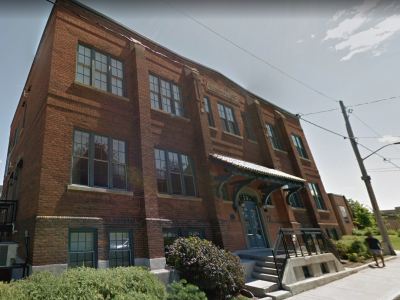 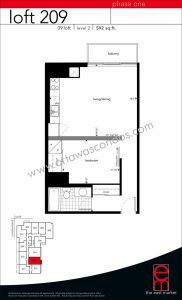 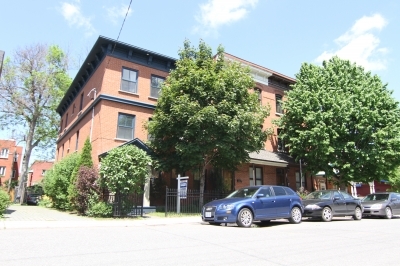 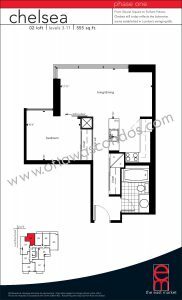 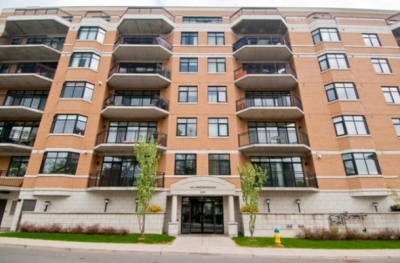 Loft style living close to the National Gallery, Byward Market and the Rideau Centre. 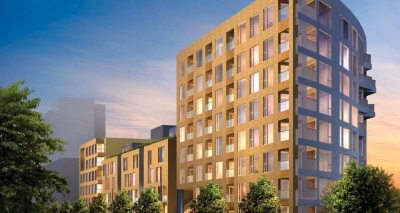 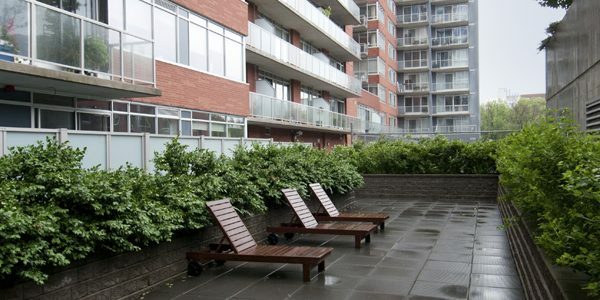 Units in this building feature large balconies and some include private terraces. 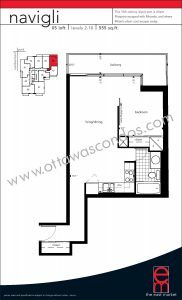 Condos are also available with underground parking and storage lockers. 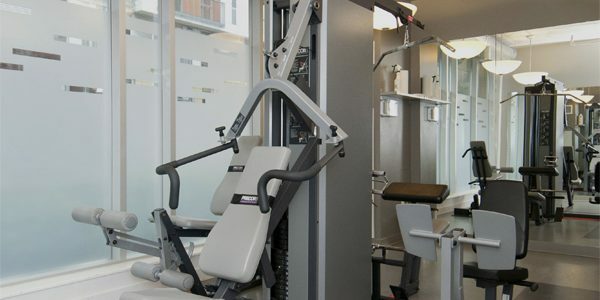 Phase I and II both share gym facilities, a party room with full kitchen, and a conference room. 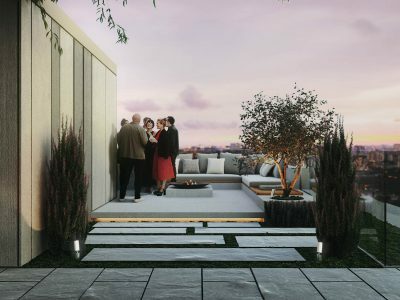 All three phases share a well landscaped outdoor terrace equipped with barbeques and lounge chairs, an ideal location for entertaining during the summer. 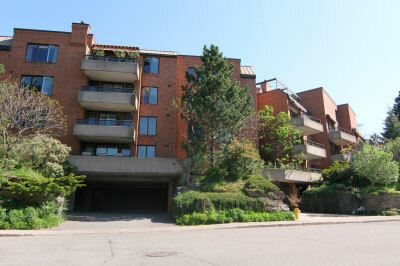 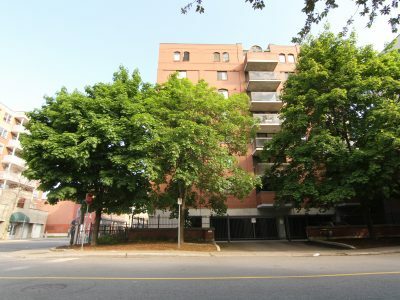 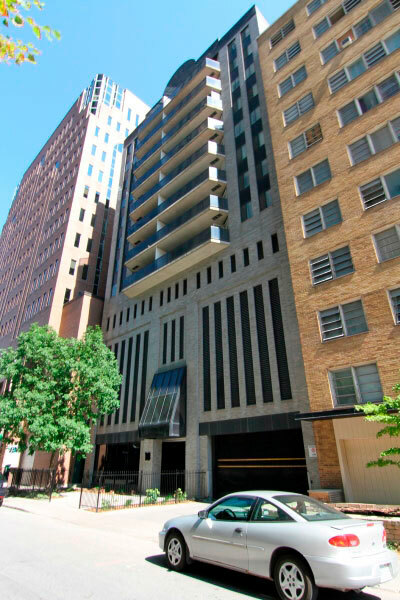 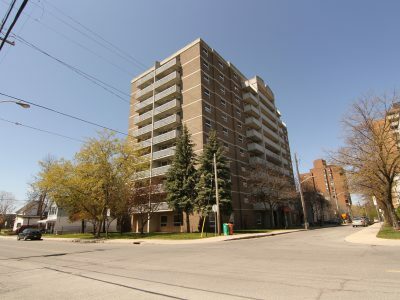 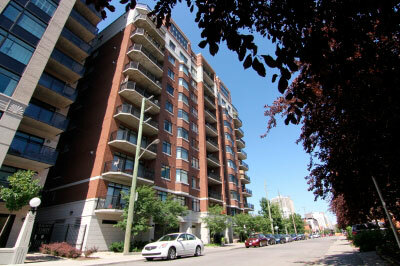 A large underground parking garage is shared by all three condo buildings; with access on Cumberland St. 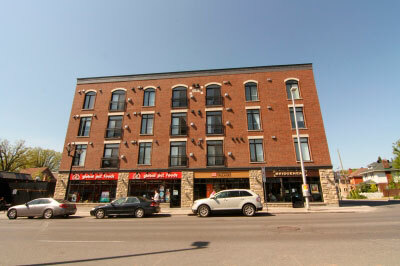 Enjoy all that the Byward Market has to offer! 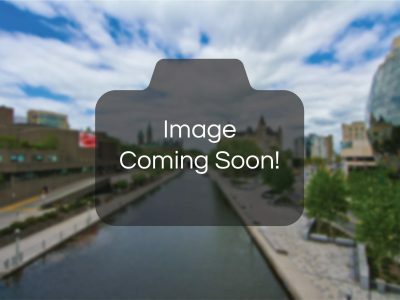 Ottawa’s ByWard Market is one of Canada’s oldest markets, established in 1826. 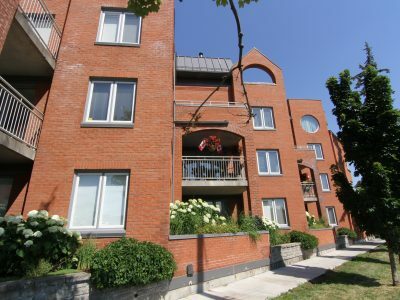 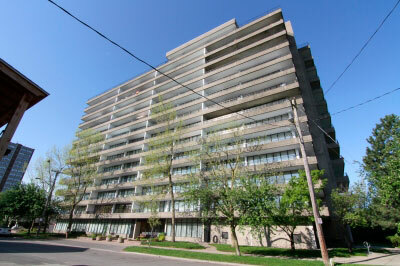 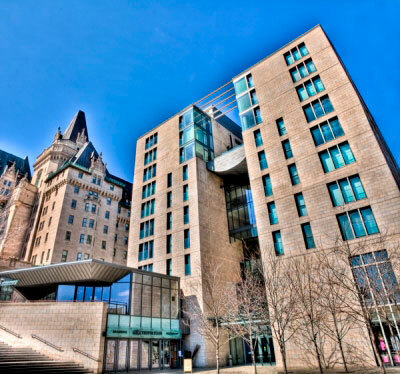 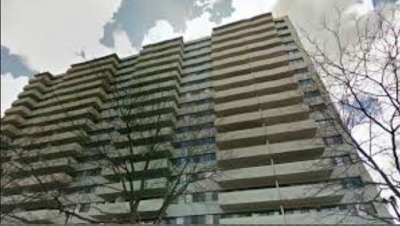 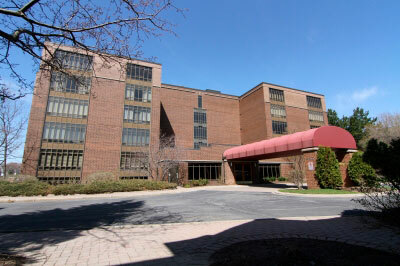 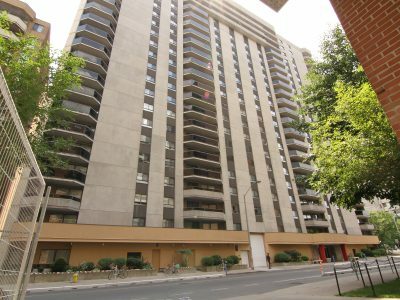 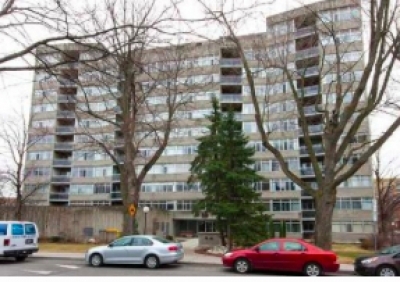 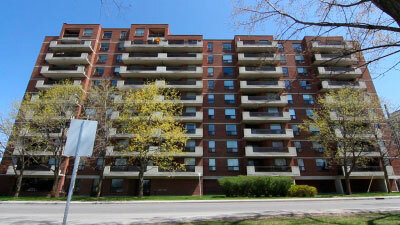 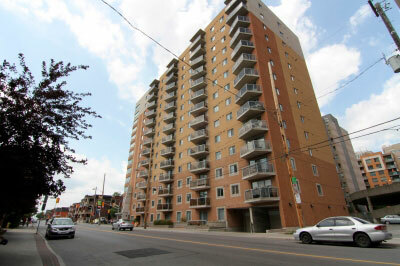 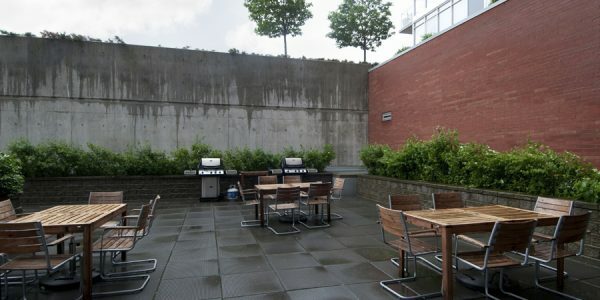 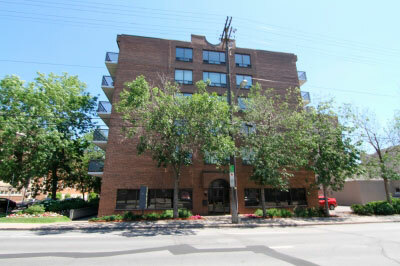 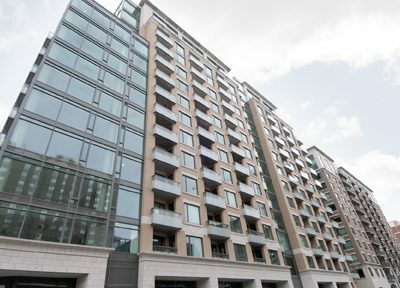 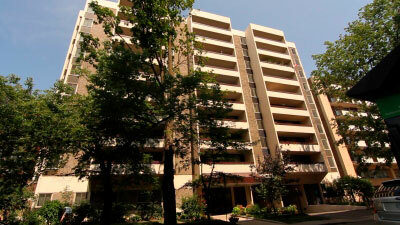 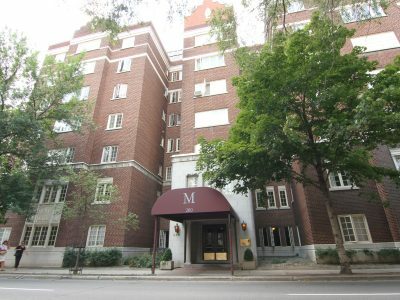 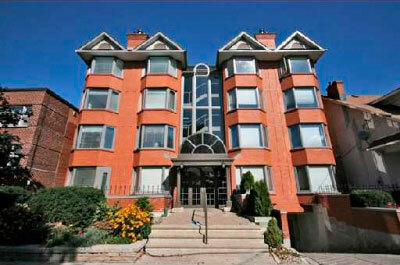 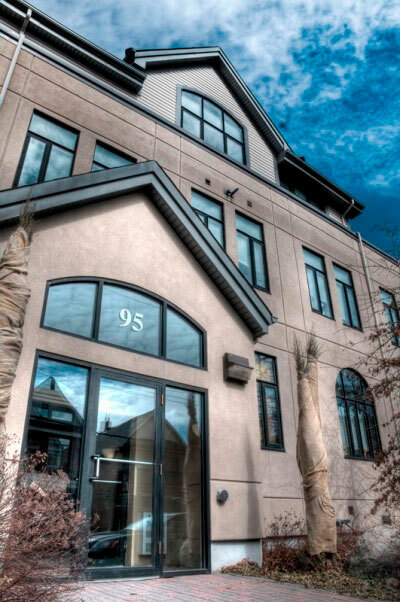 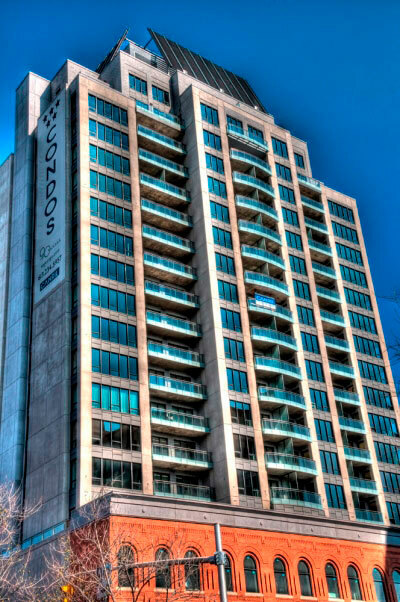 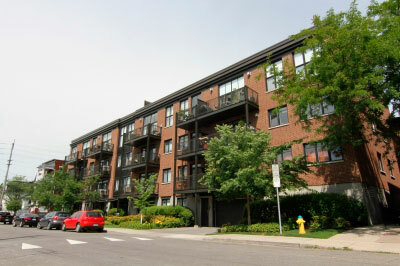 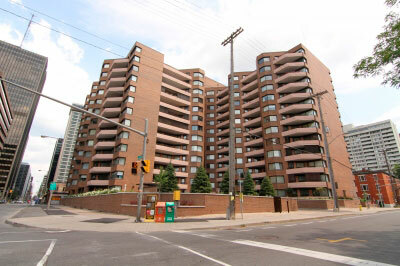 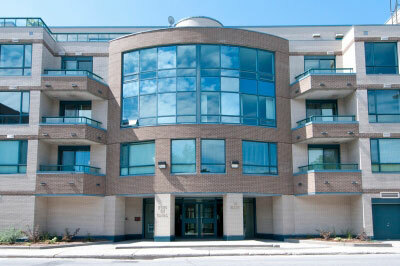 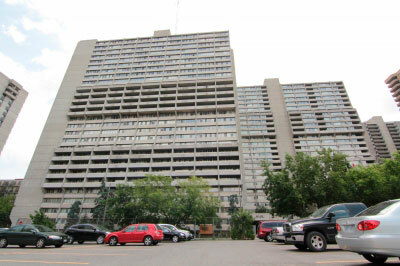 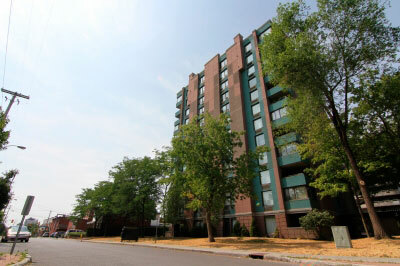 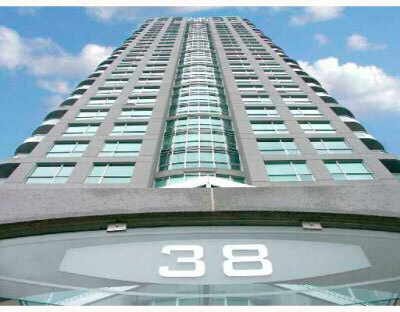 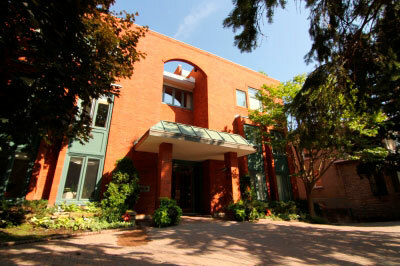 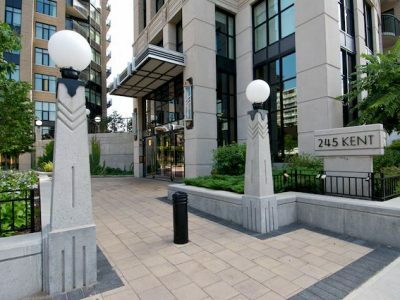 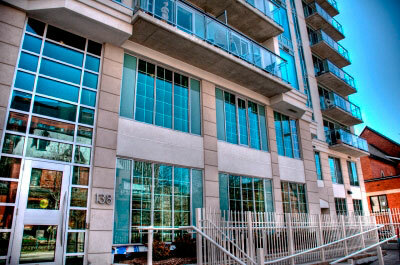 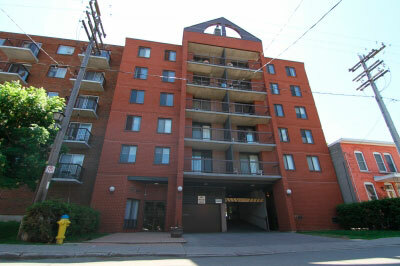 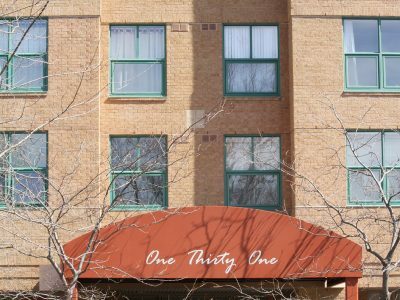 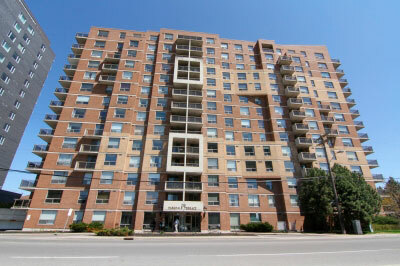 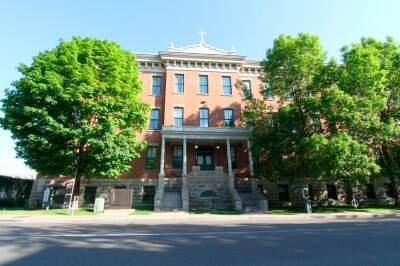 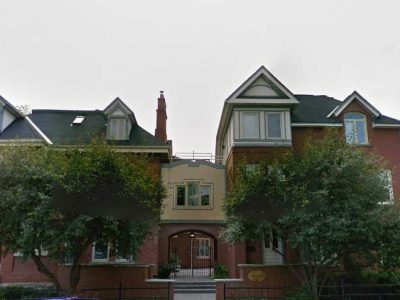 It is located in the heart of Ottawa’s downtown, with all the action centered in a six block radius. 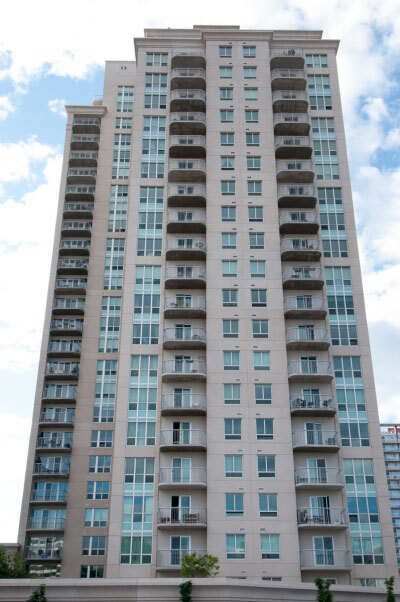 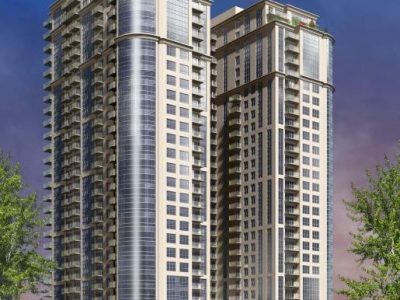 Condominium buildings in the Market boast an ideal living experience for anyone from students to retired seniors. 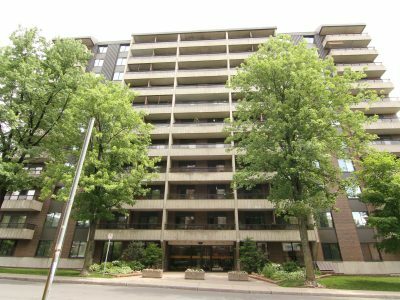 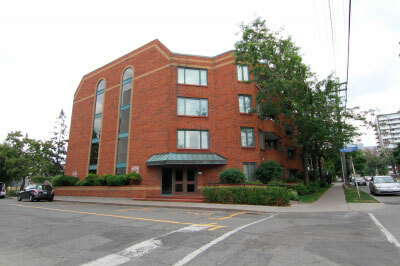 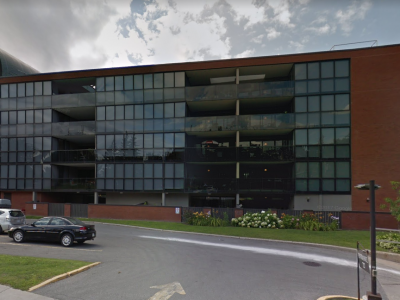 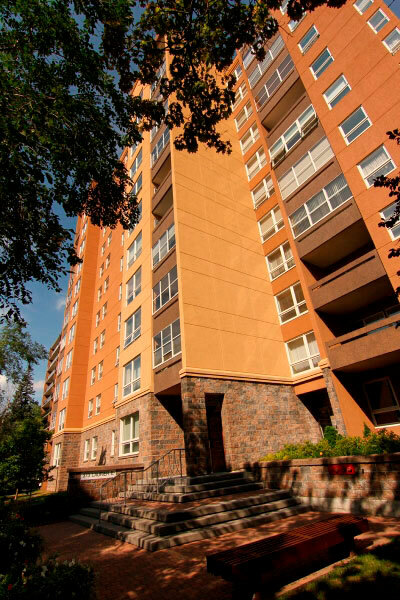 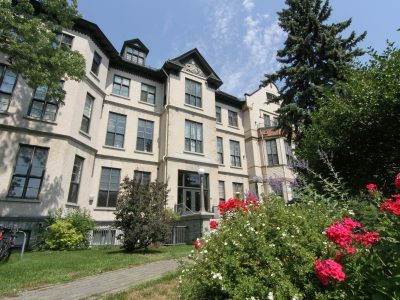 Only five minutes from the University of Ottawa, it is a perfect off-campus housing location for any student. 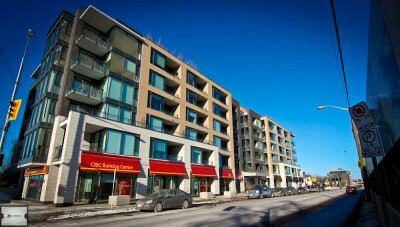 Professionals living in the ByWard Market are only five minutes away from Ottawa’s downtown business core. 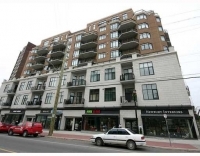 The ByWard market is the place to sample all dining Ottawa has to offer. 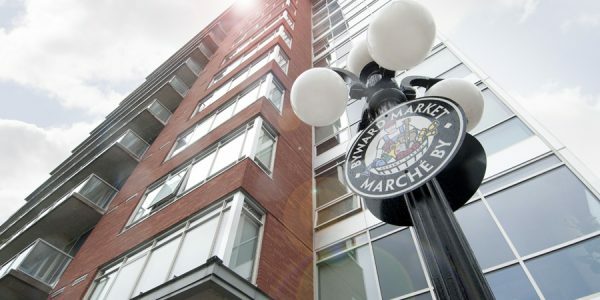 From pasta and pizza to seafood and shawarma, this market has it all. 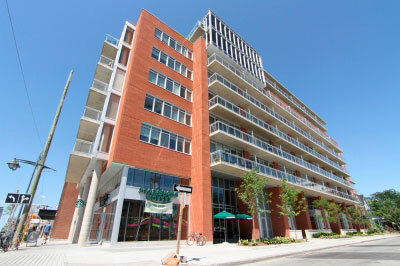 Aside from restaurants, the market itself has dozens of fresh produce stands and many speciality food shops. 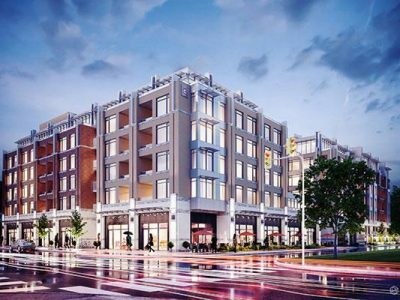 A 24-hour grocery store is also on site for anyone craving a midnight snack. 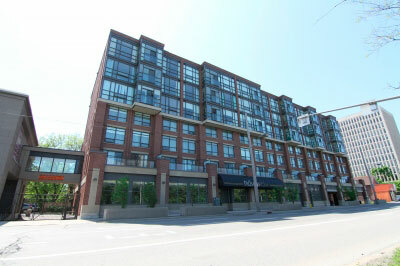 The ByWard Market contains a vast majority of Ottawa’s nightlife and entertainment. 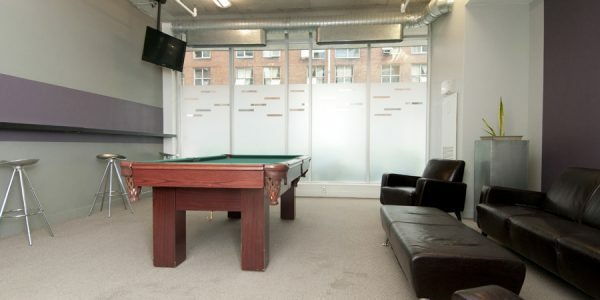 It’s the perfect place to grab a drink during happy hour or celebrate a night out with friends at any, or many, of the bars, clubs, and pubs. 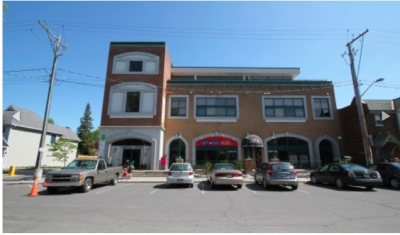 The Market is also home to concert halls and the ByTowne Cinema. 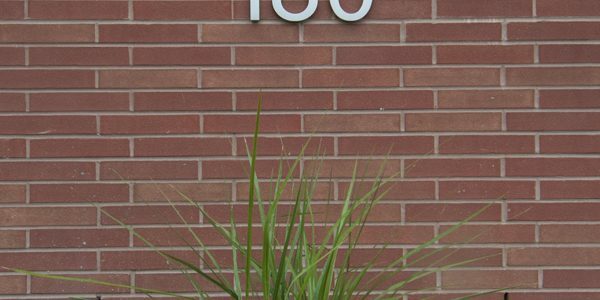 During the spring, summer, and fall the Market is flooded with many stands selling fresh produce, prepared food selections, clothing, flowers, and much more. 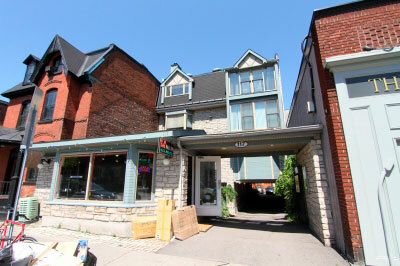 Many boutiques allow for a diverse shopping selection. 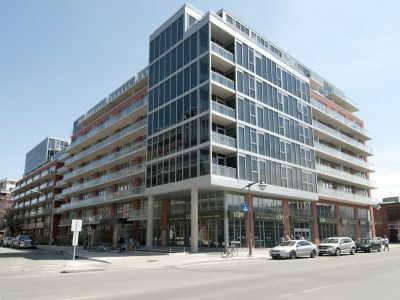 At the south end of the ByWard Market lies the Rideau Centre. 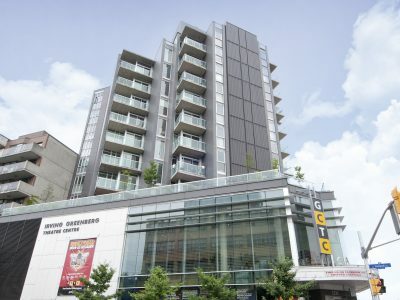 This enclosed mall is home to more than 180 of Ottawa’s best stores and services. 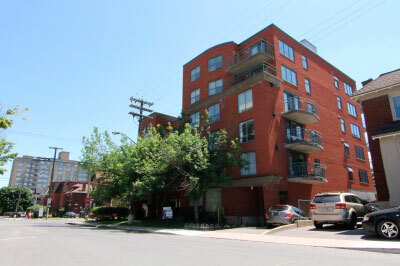 Finding a specific need is never a problem in the ByWard Market. 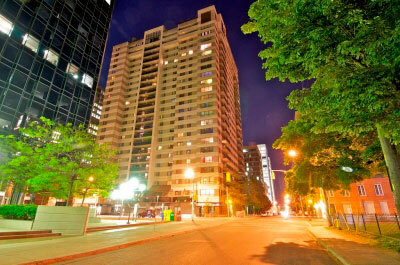 Residents of downtown Ottawa are never restricted to concrete streets. 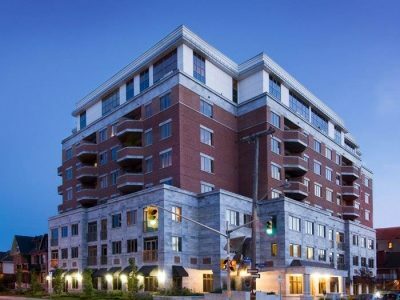 All neighbourhoods in Ottawa’s downtown center offer the opportunity to experience the great outdoors while living the city. 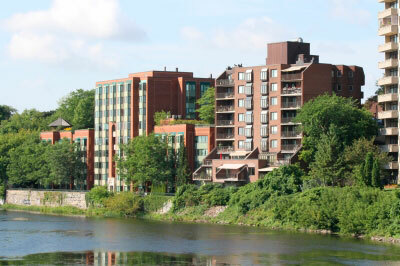 Surrounding Ottawa’s centre, nature enthusiasts will find many parks, trails, ski hills, and plenty of water. 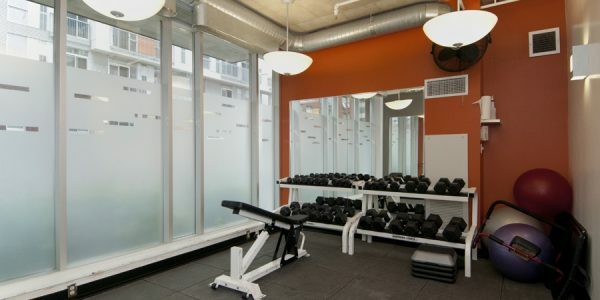 Compromising recreation is never a problem – especially with the gym in your condo building. 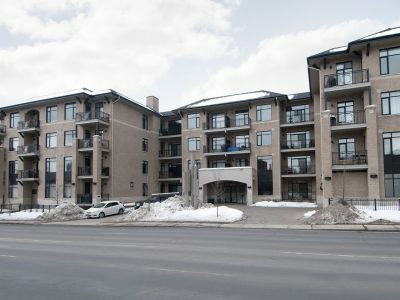 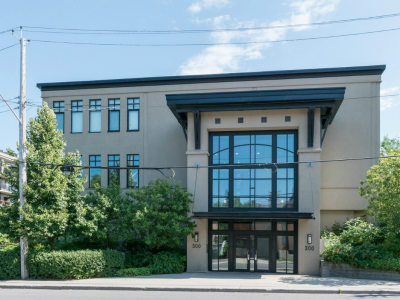 The Market’s central location puts it 5 minutes from Ottawa’s bus station, 5 minutes from the VIA Rail train station, and 15 minutes from the Ottawa International airport. 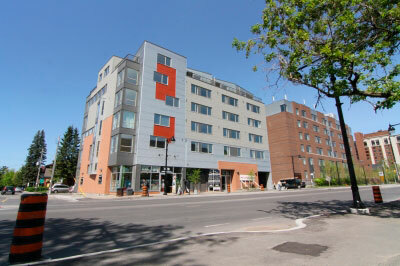 A large bulk of Ottawa’s bus roots run through the ByWard Market, making it easy to access other areas of the city. 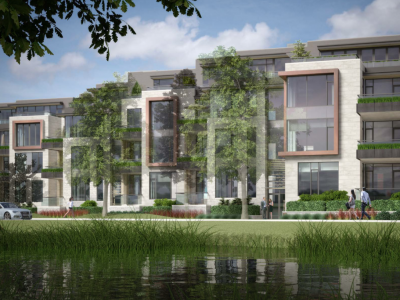 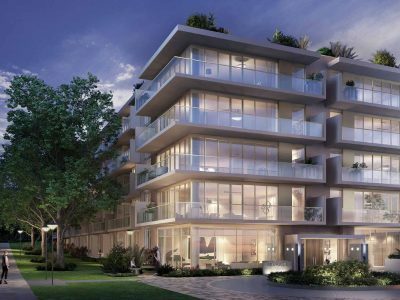 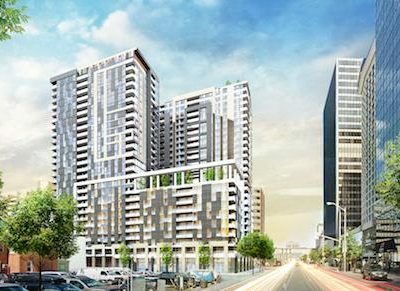 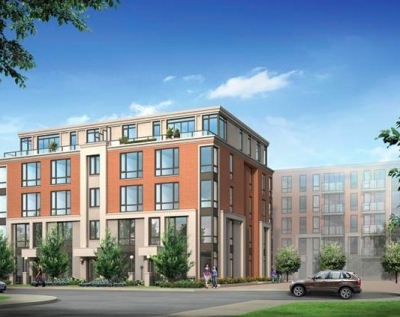 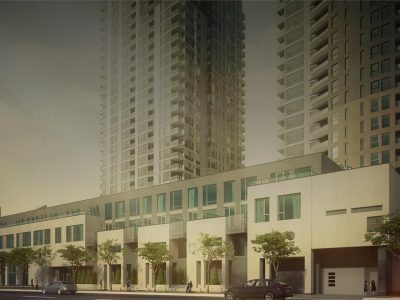 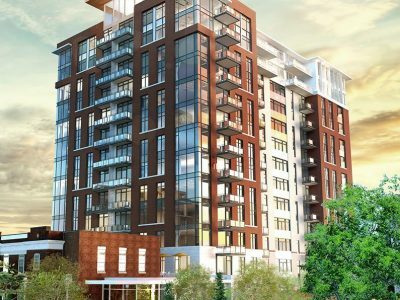 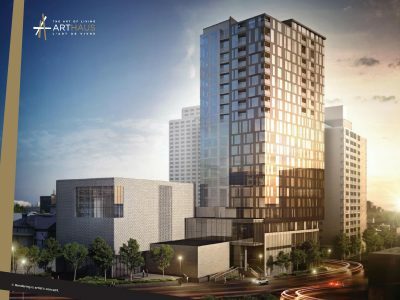 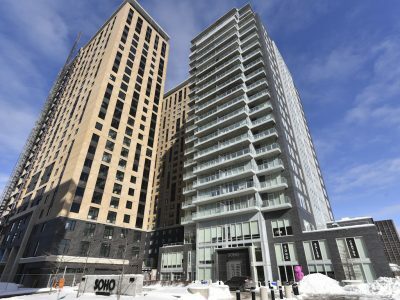 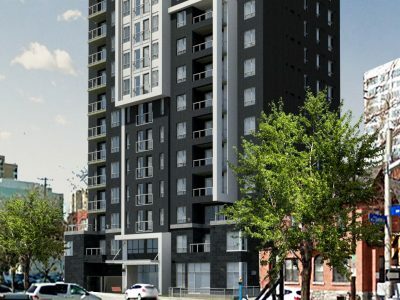 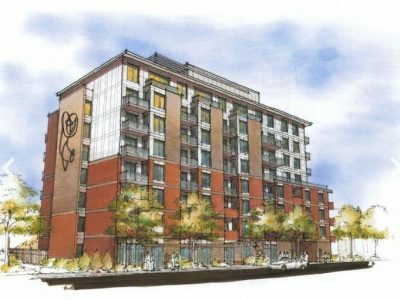 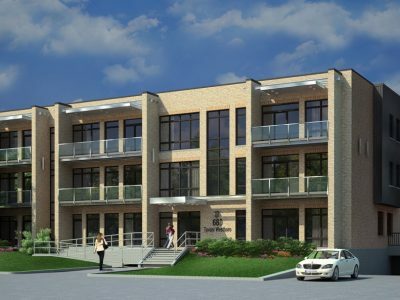 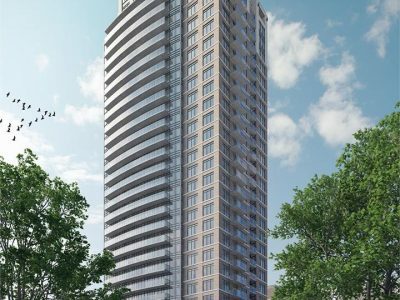 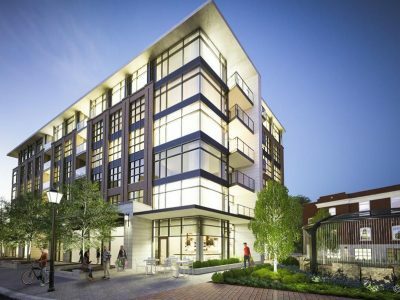 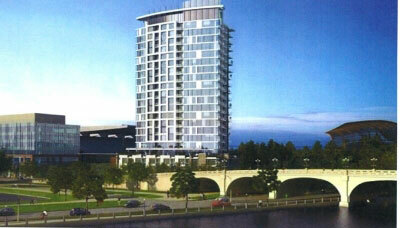 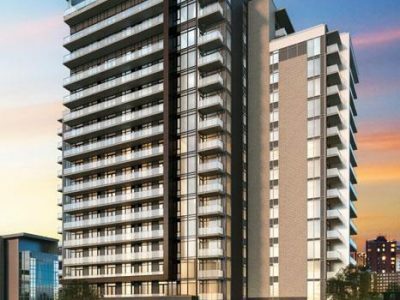 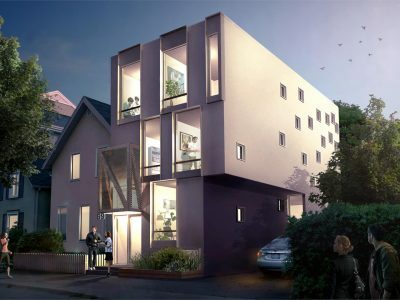 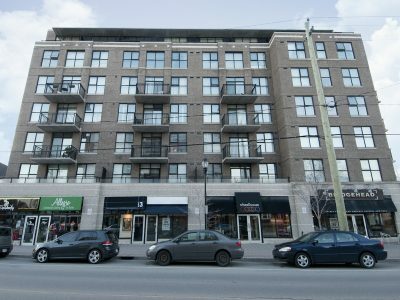 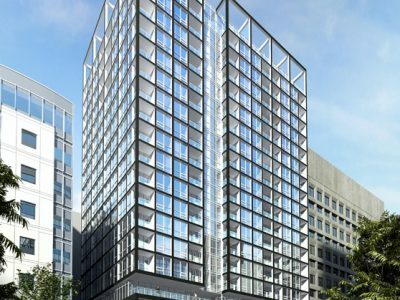 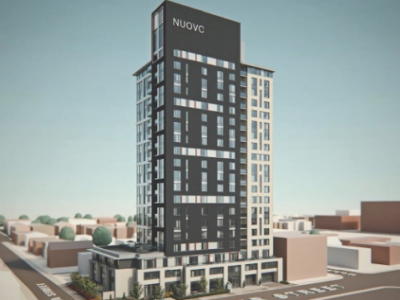 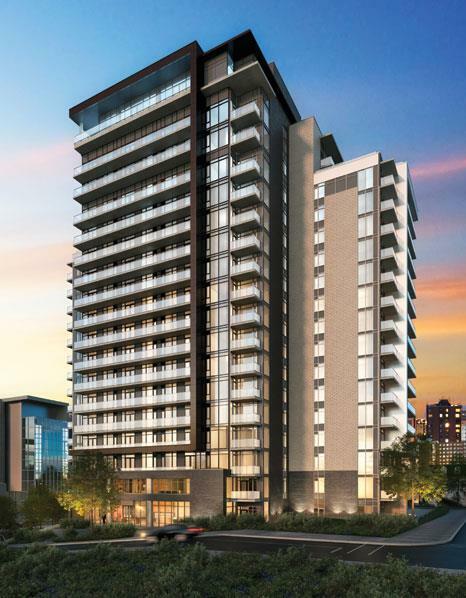 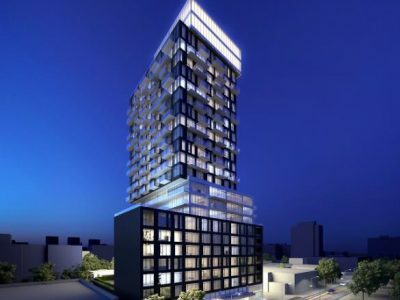 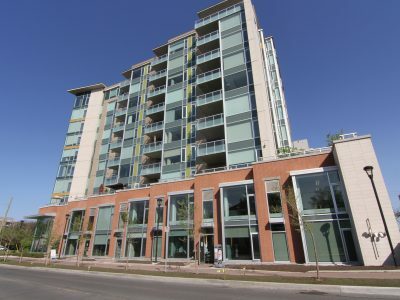 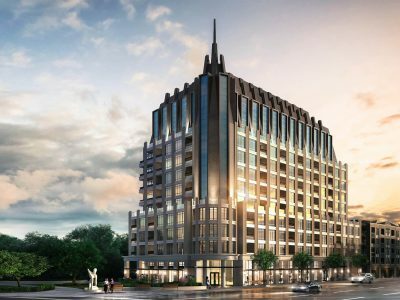 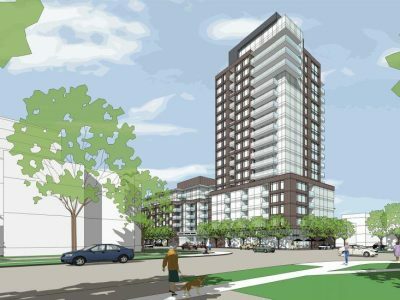 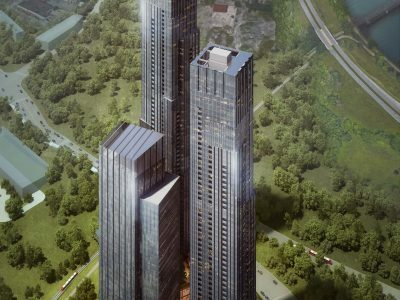 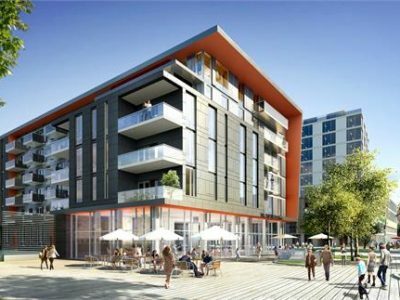 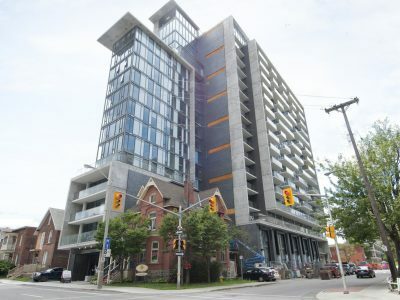 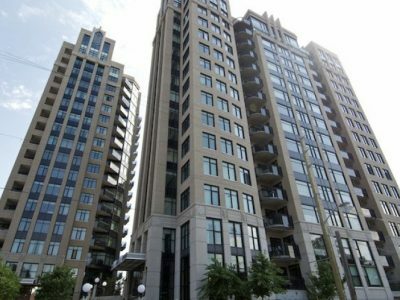 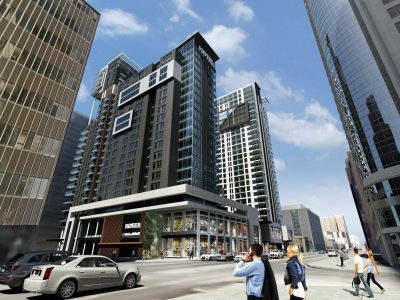 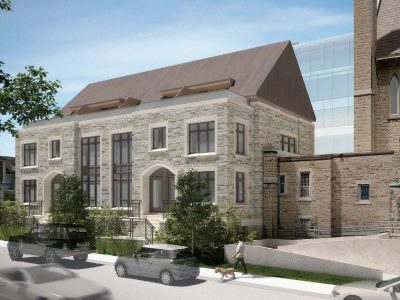 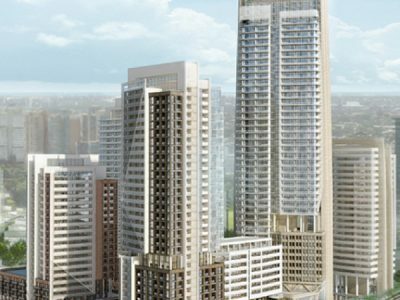 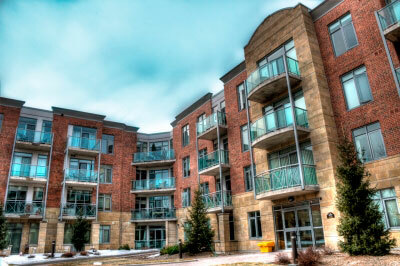 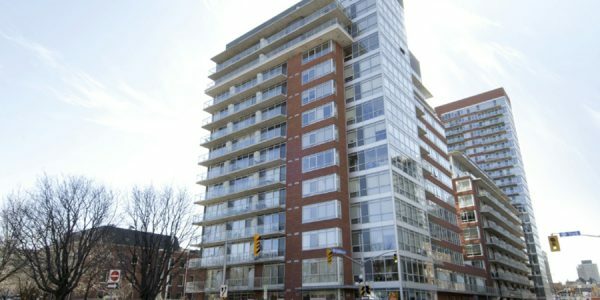 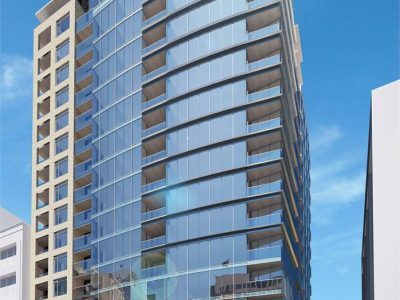 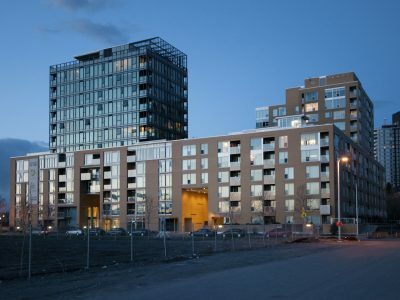 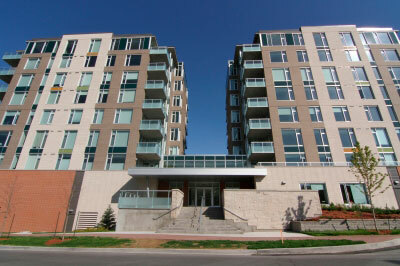 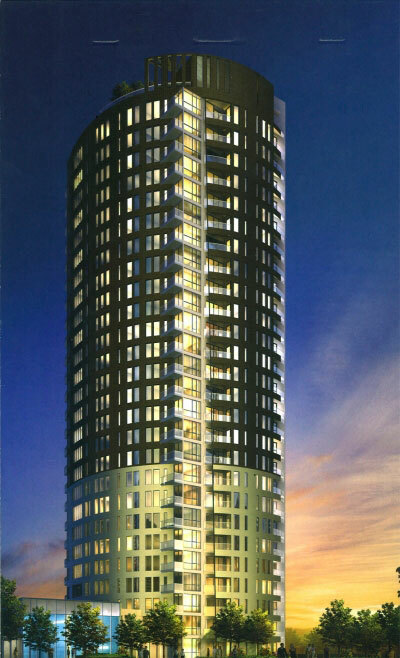 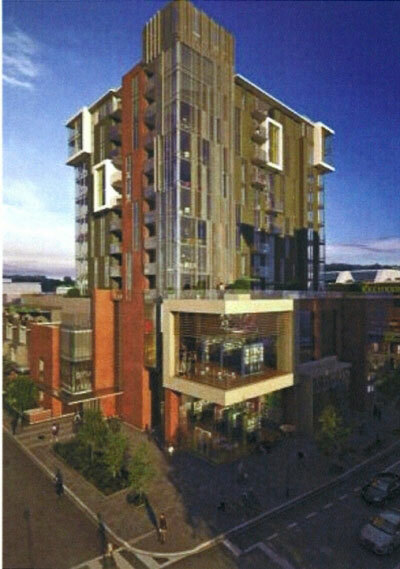 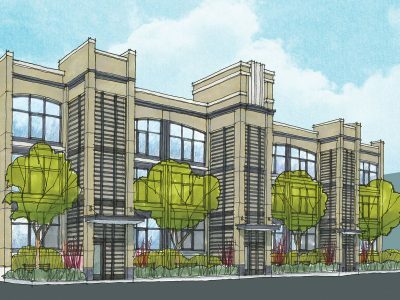 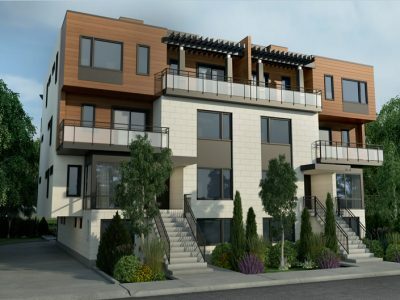 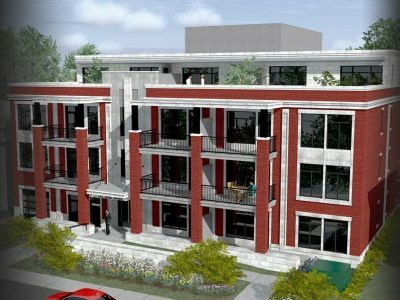 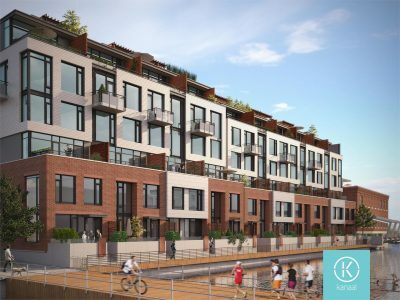 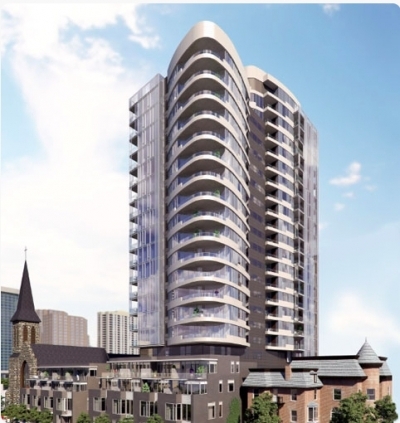 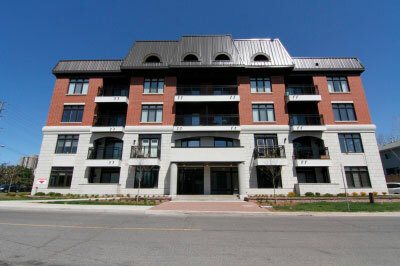 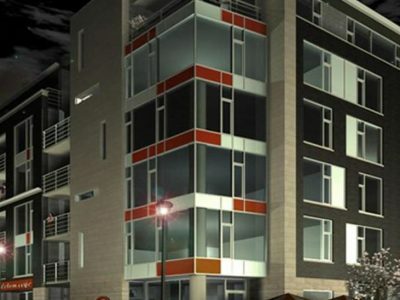 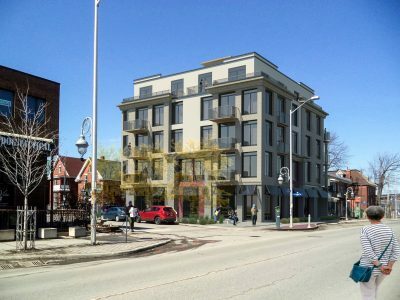 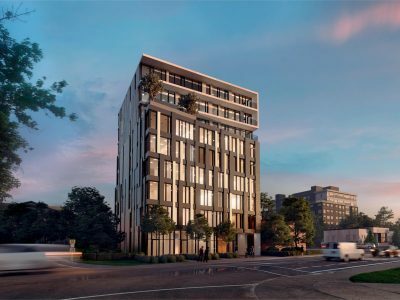 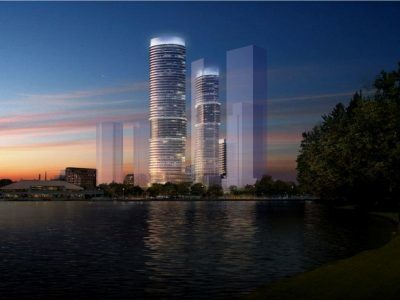 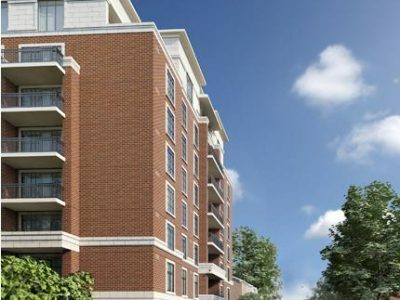 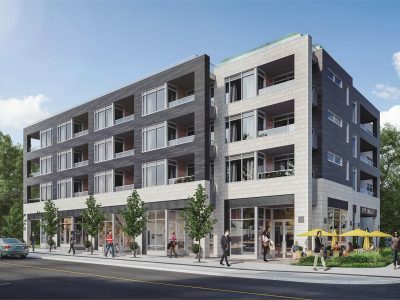 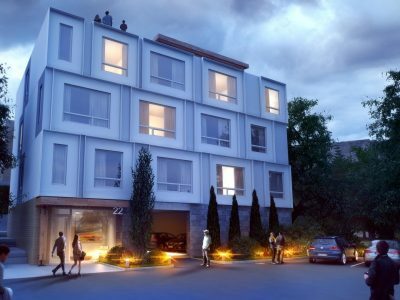 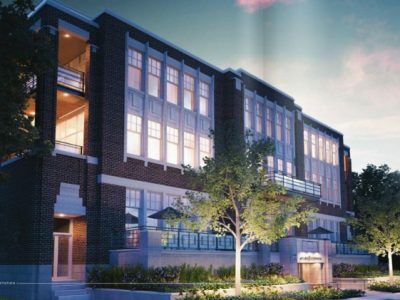 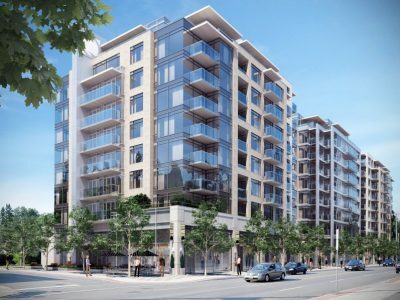 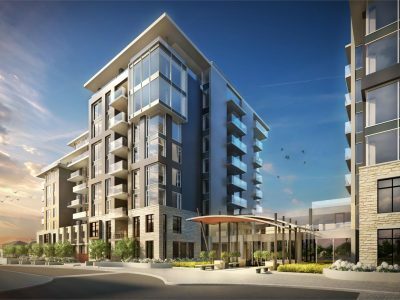 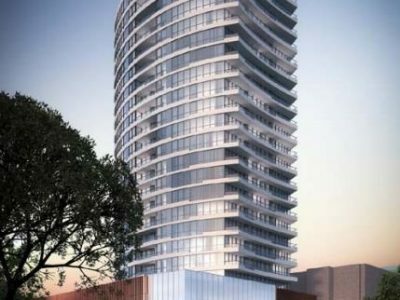 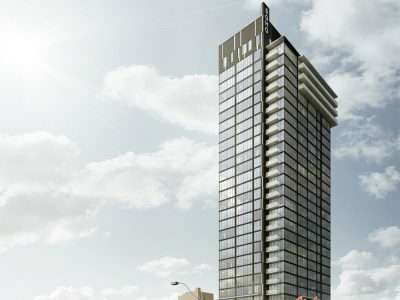 For more on The East Market Phase 1 Condo Ottawa check out The East Market Condo Ottawa.